While many people will admit to spending a little too much time with their mobile device, few people may be considering the risk of repetitive strain injuries that result from all that use. Fewer still have ever heard of texting thumb, a painful condition that can affect the tendons of the thumb and wrist. U.S. mobile service subscribers send and receive an average of 764 text messages per month, according to the most recent nationwide data (Neilson, 2013), and it’s a safe bet that teen texting totals are much higher. Even the average of 25 texts per day can put a person at risk for the pain of texting thumb, a real and growing pain problem in our smartphone-saturated society. Are you experiencing sharp or shooting pain, a constantly aching thumb joint, or a thumb that seems to pop out of place when it’s extended during typing? You might be suffering from Texting Thumb. 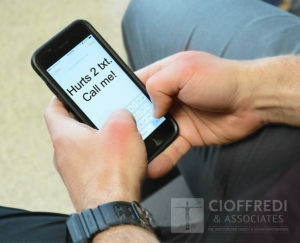 The strain of constantly holding a cellphone and curling the wrist and thumb to type text messages restricts and thickens the tendons responsible for flexing the thumb and wrist, causing inflammation, searing joint pain, and eventual weakness. 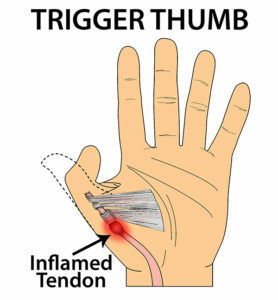 Pain centered at the base of the thumb on the palm side, which can radiate up the thumb and is often accompanied by snapping or locking of the thumb, is likely caused by an aggravated and inflamed tendon—a condition called trigger thumb that is the most commonly associated with texting. Pain that originates on the thumb side of the wrist. 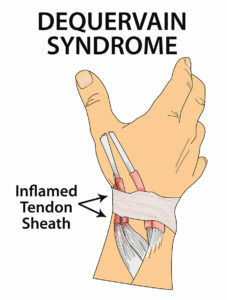 A person with DeQuervain Syndrome may feel localized tenderness, pain, and, swelling at the wrist near where the thumb is attached to the forearm. They also may have difficulty pinching or grasping with the thumb or hand, and feel pain when moving the wrist from side to side or when twisting it. DeQuervain Syndrome causes difficulty when flexing the thumb, and may result in limited motion and feeling of weakness in the thumb. If you are experiencing the symptoms of either trigger thumb or DeQuervain Syndrome, for best results you should seek treatment early. 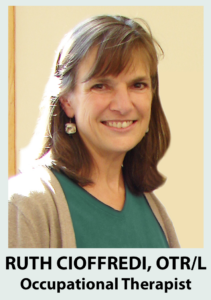 A physical or occupational therapist will work with you to assess your condition and review how you use your thumb, and start working with you to relieve pain and inflammation. Your therapist can give suggestions on how to make adjustments to alleviate stress to that area, and can also help you with exercises for your hand, wrist, and arm that strengthen your muscles and reduce painful tendon irritation. In some cases, an immobilizing splint may be prescribed to support recovery.